Installation of an FGD system on four units of the 1720 MW Nikola Tesla A lignite firing plant represents an early stage in Serbia’s attempt to clean up its act in support of its application to join the EU. The preponderance of coal firing power stations in Serbia’s generation mix has proved a major curb on its ambition to join the European Union. Its particulate emissions are well above EU and World Health Organisation limits while SOx levels would have to be reduced by more than 90% to get under the 200mg/Nm3 permitted by EU regulations. Until recently the Serbian government had done very little to bring its generation into line with its European neighbours, preferring to generate 70% of its needs by burning its cheapest fuel – an abundant supply of lignite – with the balance coming from hydro. This is in fact a Balkans-wide problem. Analysis by CEE Bankwatch Network, released in June, suggested that most of the new coal power plants currently planned for the western Balkans would not meet EU pollution standards. But in Serbia at least things are changing. A 158 MW, €300 m wind farm project, one of several in the pipeline, has received EBRD funding, and a start has been made on detoxifying the country’s coal firing capacity. The first step was to tackle the Nikola Tesla A plant, which on its own provides 20% of Serbia’s 8.4 GW total installed capacity, and reportedly almost half of actual electricity production, by installing a flue gas desulphurisation system. In every sense this project is a much bigger step than plans for wind farms, and, perhapsasimportant,itdemonstratesintent. Politically, it reinforces the government’s plan, announced in 2015, to cut greenhouse gas emissions 9.8% by 2030, becoming the first nation in the coal-reliant Balkans to agree to limit carbon output voluntarily. Serbia’s Energy minister Aleksandar Antic says that €200 million has been invested in the energy clean-up so far, and another €900m will be spent by 2025. But there is still a long way to go. The total cost of successful completion of the energy and environmental clean-up, according to Serbian government data, will be around €10 billion. Serbia’s power utility EPS and Mitsubishi Hitachi Power Systems have signed a €167m deal for the project which covers four out of six units of the Nikola Tesla A power plant complex, together amounting to 1300 MW of total capacity. It is to be supported by a loan from the Japanese International Co- operation Agency (JICA), and is expected to be completed in 42 months. The systems are scheduled to begin operations in the first half of 2021. MHPS will install two sets of what it describes as the world’s largest desulphurisation system. It is the first time MHPS has received an order for FGD systems from Serbia, although this is its second for coal-fired power plants in the western Balkans region, following an order for a similar system, presently under construction, for the 300 MW, 32 year old Ugljevik plant in Bosnia and Herzegovina. The Nikola Tesla A power plant first came on line in 1970. 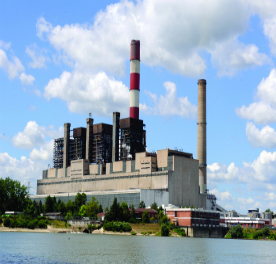 It is operated by Electric Power Industry of Serbia (EPS) and is located some 40 km southwest of Belgrade. It is Serbia’s largest power plant by some distance. Each of the newly ordered sets has a flue gas desulphurisation capacity of 650 MW and they are to be installed in units 3 through to 6. For this project, MHPS will serve as leader of a consortium together with Itochu Corporation and MPP Jedinstvo (JDS), a Serbian construction firm. MHPS, supported by its European subsidiary based in Duisburg, Germany, will be responsible for project management, design, supplying main systems and dispatching technical advisors for installation. Itochu will mainly handle commercial issues. JDS will act as local partner for construction management and civil engineering, including design, installation and local procurement. The Nikola Tesla A power plant burns lignite coal, which has higher levels of sulphur and lower caloric value compared with other coal types. The installation of MHPS’s FGD systems is designd to reduce emissions of SO2 and particulates. SO2 emissions will be cut by 97%, resulting in an SO2 level lower than the 200 mg/Nm3 needed for compliance with the European Industrial Emissions Directive (IED). MHPS’s FGD technologies for lignite-fired boilers, along with its successful track- record supplying more than 300 units, were key factors in its selection for this order.